Emergency Driving with fire vehicles can be very dangerous, especially during winter conditions. Drivers who don´t have the training for driving heavy vehicles sometimes, and perhaps don´t do too many calls in a year, run the risk of being caught by lethal surprise of how the vehicle behaves at higher speeds. 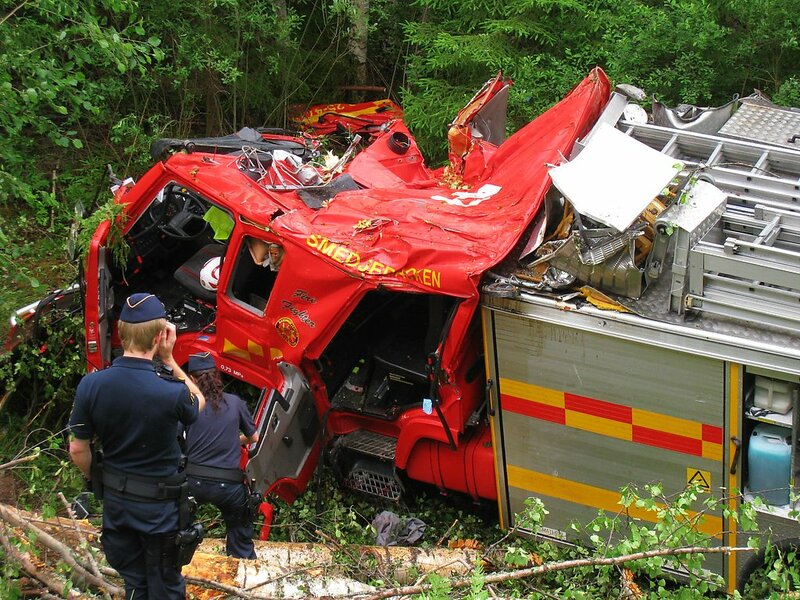 The required training to drive a fire vehicle is often much less than for driving a commercial truck - and too many fire teams have paid the ultimate price for this lack of training - training which should be the responsibility of the employer, not the volunteer (or professional) firefighter to provide. Especially the water tank can cause problems for the untrained driver - there is a lot of weight in the tank of a fire truck and particularly if the tank is not full, the water can sway from side to side inside the tank, causing a violent wobbling effect on the road during turns. 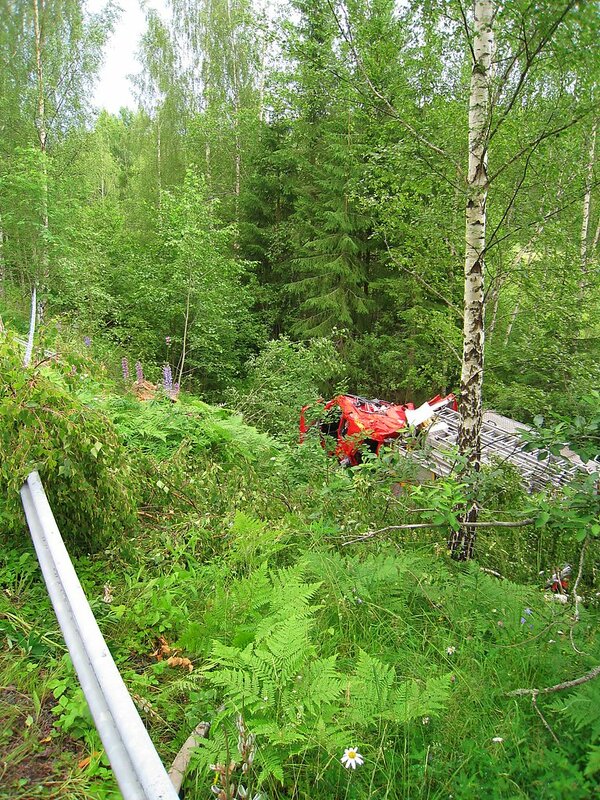 This video is an 11 minute long documentary from a fatal accident with a fire truck in Sweden July 2012, where two volunteer firefighters were killed and three others were injured, following a slight, partial road collapse where the driver lost control of the vehicle when one of the wheels went off the tarmac. 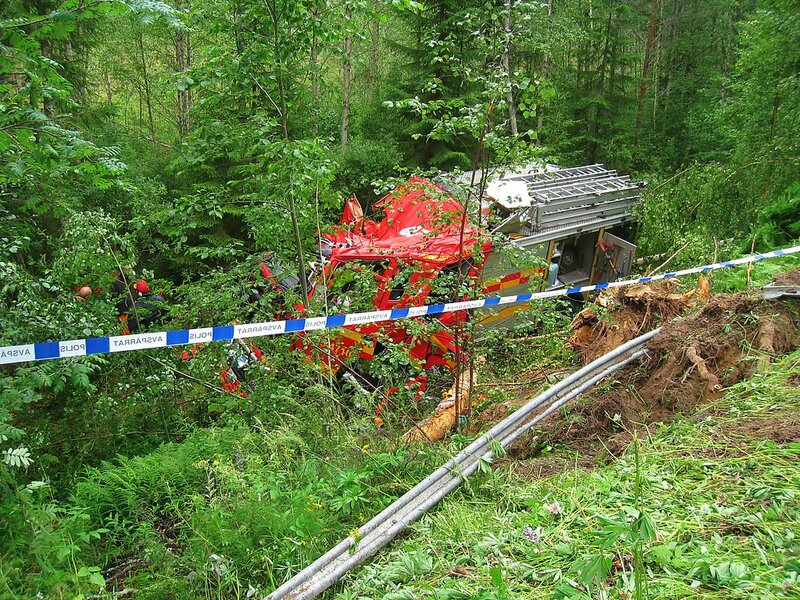 In this case, the driver was very experienced, and perhaps this particular accident, no further training could have prevented this loss - but the fact is, many drivers do not know how much speed their vehicle can handle, because they don´t have formal training for heavy vehicles. 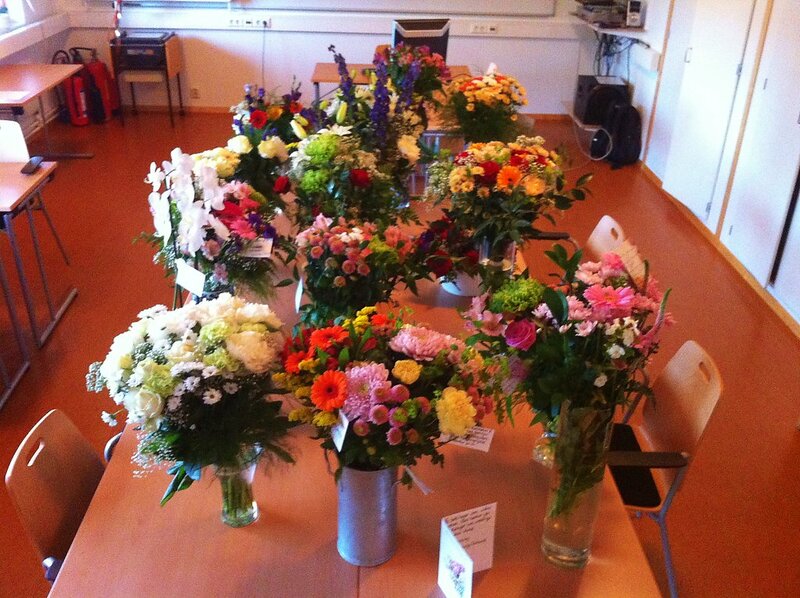 The video is produced by the Swedish Civil Contingencies Agency (MSB) and is filmed by Leif Seger & Björn Ulfsson. (2013) This film is part of the 90 Seconds documentary series with educational videos for firefighters.